Awhile back I posted that I was going nuts, trying to finish making Christmas presents. That might have been a bit of an exaggeration. t about one of the gifts I was making. 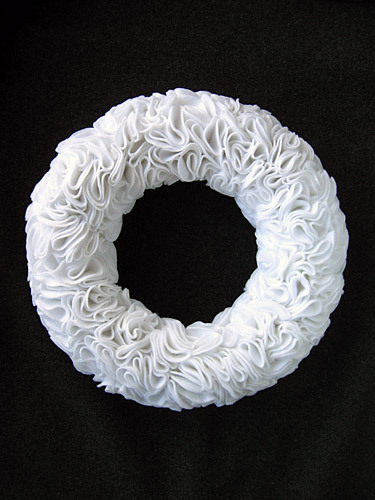 I also made a felt wreath (or center piece..depending on how you use it). And, this wreath for my SIL. Any guesses what's wrapped in a strand of Christmas lights? Is anybody else starting to think about what they can make next year for Christmas? No? Great, I am totally nuts. Too much nut butter. I absolutely LOVE almond butter...one of my favorites...but any nut butter is yummy!